​Former Manchester United defender Gary Neville has linked Liverpool forwards Sadio Mané and Mohamed Salah with moves to La Liga giants Real Madrid and Barcelona. The pair were both on the score sheet as Liverpool beat Chelsea at Anfield on Sunday to return to the top of the Premier League table. 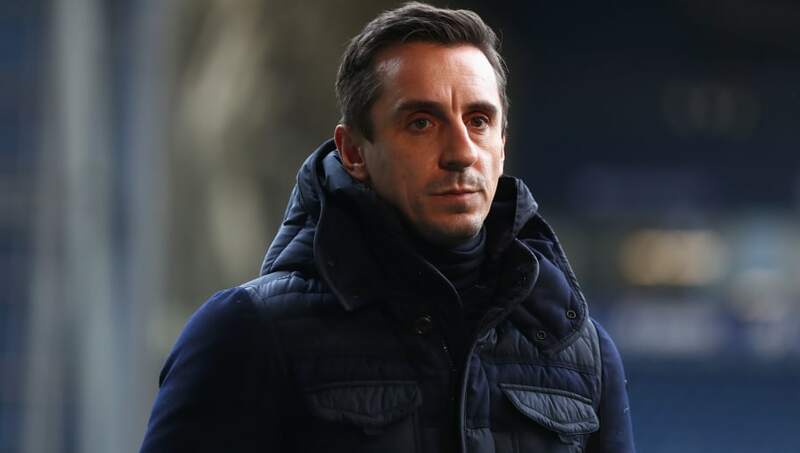 Neville praised both players as well as ​Manchester City wingers Leroy Sané and ​Raheem Sterling and claims that all four would be wanted by ​Real Madrid and ​Barcelona. "They're the most devastating [wingers] when it comes to goalscoring," Neville told Sky Sports ​(via Anfield HQ). "But we are seeing absolute devastation. The biggest compliment I can pay is that Real Madrid and Barcelona would want all four of them tomorrow. And usually what they'd do is pick the next best players in the world." Salah's wonder-strike against ​Chelsea was his 19th goal of the season, making him the joint-top goalscorer in the ​Premier League alongside ​Sergio Agüero. ​Mané is enjoying a similarly stellar campaign, recording his 17th league goal against Chelsea. Neville said that the excellent performances of those players would attract the interest of Real Madrid and Barcelona as both clubs have historically signed the best players from the Premier League. Examples of this include ​Gareth Bale moving from ​Tottenham Hotspur to Real Madrid for a then-world record fee of £85m in 2013. In January 2018, Philippe Coutinho moved to Liverpool to Barcelona for £142m. Neville added: "I think ​Salah, Mané, Sterling, Sané, you could probably add ​Bernardo Silva to that from Barcelona's point of view, you could probably put those five into a pot and Barcelona and Real Madrid, who have always plucked the best players out of our country, would take every single one of them tomorrow, because they're outstanding." Both Mané and Salah have been integral to Liverpool's title challenge this season. Just one point separates the top two teams in the Premier League with Manchester City having a game in hand. ​Liverpool visit Porto in ​the second leg of their ​Champions League quarter-final tie on Wednesday, carrying ​a 2-0 lead from the first leg. Their next Premier League game in their quest for the title is a visit to relegation-threatened ​Cardiff on Sunday.